Abhisarika Holidays is a leading Tour & Travel Agent in Guwahati, Assam that offers you top class Tour & Travel services. 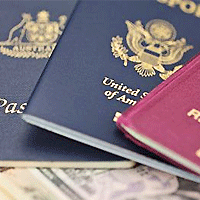 We also have Passport & Visa Assistance for our clients to get them quick passports and visas. Getting a Passport or a Visa these days can be really time consuming and difficult. Our expert professionals are well acquainted with all the Passport & Visa formalities and will guide you through getting a Passport or a visa very easily. Our Visa assistance services will maximize your chances of getting Visa. We offer personalized attention to all the candidates on correct procedure to follow. The entire process of Passport / visa is managed professionally. The professionals who manage the services are highly qualified and seasoned immigration advisors who know how to eliminate the hassles and unnecessary problems of the immigration paperwork.